As many as 1 out of every 5 people in the United States has a learning disability. Almost 3 million children (ages 6 through 21) have some form of a learning disability and receive special education in school. In fact, over half of all children who receive special education have a learning disability (Twenty-fourth Annual Report to Congress, U.S. Department of Education, 2002). The study on Learning Disabilities is relatively new in India, in special education. It is at its infancy stage even a prominent, actor of Bollywood was judged as dyslexic by one website. ALDI, Association for Learning Disabilities India, a non-govermental organisation to help the student community with their learning problems and their parents, teachers, professionals involved and social workers. It started in 1992 with its headquarters at Nellankara, Trissur. ALDI created a system called ARMS (Aldi Remedial and Rehabilitation Measures) to help children cope up with several learning problems that affect life. ALDI has conducted several scientific studies in the area. Approximately 6-8 percent of students in public schools have learning disability. The school dropout rate for children or adolescents with this disability is said to be almost 40 percent- one and a half times the average. Dyslexia is one of several distinct learning disabilities. It is a specific language based disorder of constitutional origin characterized by difficulties in single word decoding, usually reflecting insufficient phonological processing. These difficulties in single word decoding are often unexpected in relationship to age and other cognitive and academic abilities; they are not the result of generalized and developmental disability or sensory impairment. 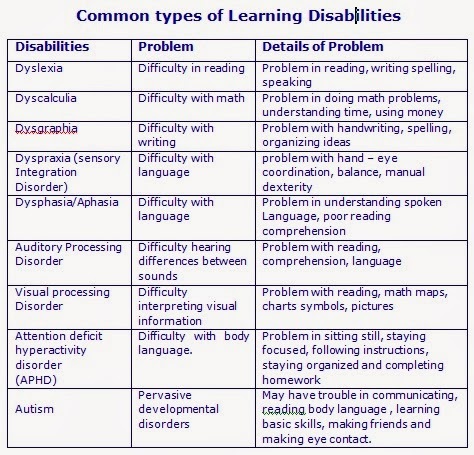 Dyslexia is manifested by variable difficulty with different forms of language, often including, in addition to problems with reading, a conspicuous problem in acquiring proficiency in writing and spelling. Diagnosing a learning disability isn’t always easy. Don’t assume you know what your child’s problem is, even if the symptoms seem clear. It’s important to have your child tested and evaluated by a qualified professional. -Although dyslexia is caused by an inherited brain difference, medical insurance does not cover testing for dyslexia. -Most medical doctors do not know how to test for dyslexia. They consider it an educational problem. -Dyslexia is an inherited condition. According to the researchers, if one parent has dyslexia (and the other does not), 50 percent of their children will have dyslexia. -If both parents have dyslexia , then all of their children are likely to have it. A professional tester from outside the school system can detect dyslexia in a child as young as five and a half. The present study examined teacher attitudes toward dyslexia and the effects of these attitudes on teacher’s expectations and the academic achievement of students with dyslexia compared to students without learning disabilities. The attitudes of 30 regular education teachers towards dyslexia were determined using both an implicit measure and an explicit, self-report measure. Achievement scores for 307 students were also obtained. Implicit teacher attitudes towards dyslexia related to teacher ratings of student achievement on a writing task and also to student achievement on standardized tests of spelling but not math for those students with dyslexia. Self-reported attitudes of the teachers towards dyslexia did not relate to any of the outcome measures. Neither the implicit nor the explicit measures of teacher attitudes related to teacher expectations. The results show implicit attitude measures to be a more valuable predictor of the achievement of students with dyslexia than explicit, self-report attitude measures. G Mary Sunanda The author is Assistant Professor of Education, Department of Education, Dr. B.R.Ambedkar Open University, Hyderabad.